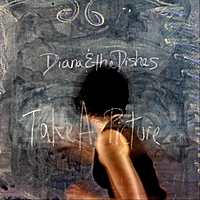 Diana & the Dishes’ debut album Take a Picture plays like the soundtrack for a hot new Broadway musical in absolutely the best way a modern record could. 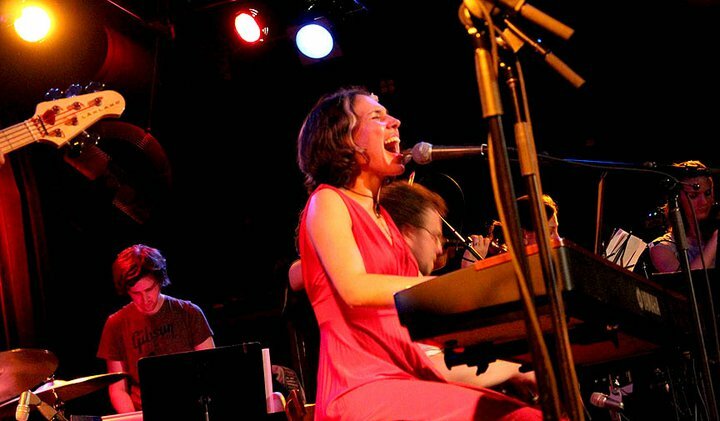 It’s not just the veritable pit orchestra playing behind front woman Diana Lawrence, nor simply the classic and effortlessly jazzy chord changes. It comes down to songwriting and lyrics – so strong and rich that they nearly become visual. Writing original, memorable, and non-cheesy music and lyrics for musical theater may be the most difficult task any songwriter could attempt. In a musical, the primary songwriting task is to propel a very specific story in a very short amount of time and with strict expectations in terms of structure and form. Every bit of music has to help tell the story of defined characters in that unique moment. 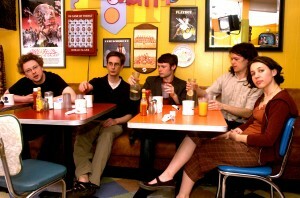 Lyrically, rock and roll strategies of being intentionally vague or abstract don’t cut it. Plus, you have to rhyme – it’s in the rules. The payoff if you can do all of this well, however, is huge: effectively communicating very specific emotions, characters, and experiences in a more direct way than most other forms of songwriting. The result of Diana’s experience and profound skill in this arena of songwriting is the most tangibly evocative record I’ve heard in a long time. When she sings about someone – whether an estranged love in “Satellite” or the star of “Boy in the Thrift Store Sweater,” I can almost see that character standing over on stage-right with moody blue lighting. The fact that words like “character” are even applicable to songs on a modern pop record – as opposed to the usual, abstract “you” of a song – says a lot. These talents in songwriting and performance also come through in a palpable arc – narrative and emotional – of album as a whole. The opening track, “Train to Chicago,” not only showcases just about everything Diana’s voice can do (which is a hell of a lot), but moves and builds in a way that makes you really feel like something big is coming this way. The core of the album is filled with energetic peaks and introspective valleys, and Diana does an excellent job of dancing between familiar piano-pop influences without getting stuck in the “She’s just like Fionna Apple, Regina Specktor, or Norah Jones” trap. The album’s closing song, “End of the Line,” channels Bonnie Raitt’s most touching work and concludes the record with the same sense of movement that the opening track conveyed, but in the opposite direction. Plus it’s got this one tragic high note that breaks my heart a little every time (in a good way). Ultimately, comparing Diana & the Dishes’ Take A Picture to a great Broadway soundtrack does not do it justice. Broadway songs get to use actors, sets, and lights to convey a good story in an engaging and memorable way. Diana & the Dishes’ effort is much more impressive, as they achieve the same goal without any of the props. You can purchase Take a Picture via iTunes, CDBaby, or Amazon. I highly recommend the physical CD version as the album packaging and liner notes are very well done. I’ve also added the albums first and last tracks – “Train to Chicago” and “End of the Line” – to the Mid By Northwest Pop-Up Radio Player for your listening pleasure. Click here for more information about this really awesome event. the cd release show at martys was awesome! My favorite song is Bea. I like to turn it loud and play along on guitar :).